I rubbed my eyes in disbelief this week when I read an article prominently featured on Haaretz website entitled “The Warsaw Ghetto Myth”. The story asserts that the Warsaw Ghetto Uprising, the largest single revolt by Jews under Nazi occupation, was extremely limited in in scope and duration. The most obscene aspect of the article is the allegation that the fighters were responsible for the death of the 50,000 Jews in the ghetto who had not yet been deported. This unquestionably distorted interpretation of events typifies the historical revisionism to which Haaretz is predisposed, not only with regard to post-Zionism but now also to Jewish history. That such an article is given prominence in an Israeli daily newspaper with a wide internet English readership reflects adversely on us all. The author, Eli Gat, is a Holocaust survivor who, in 2009 privately published a shoddy book “Not Just Another Holocaust” describing his sufferings and alluding to the revisionist nonsense incorporated in his current article. His book was completely ignored and very few people would have even heard his name until Haaretz published his article. In his article Gat dishonors the heroes of the Warsaw Ghetto Uprising and diminishes its historical and symbolic significance. He insists that there were fewer than 700 ghetto fighters and that the revolt lasted a mere two days, after which time many fighters fled. Gat has the gall to repudiate the accepted view that the most significant portion of the uprising took place over the course of a month and specifically dismisses the assertion confirming this by the late Professor Israel Gutman, a respected Holocaust historian and participant in the uprising. 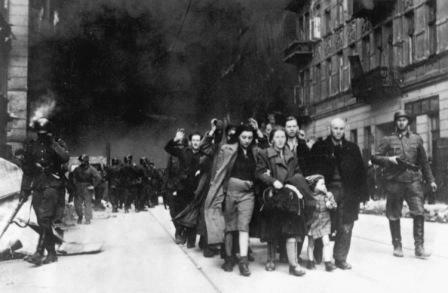 The most obscene aspect of “The Warsaw Ghetto Myth” is the allegation that the ghetto fighters were responsible for the death of the 50,000 Jews who remained in the ghetto and were engaged in factories producing goods for the Nazi war effort, claiming that these Jews may have survived had the revolt not taken place. He justifies the tragically mistaken and failed policies of most of the Judenrats (Nazi appointed Jewish committees to oversee the ghetto inhabitants) who opposed resistance and were convinced that acquiescing to the Nazis demands might save them. The unqualified fact, however, is that the Nazis were unaffected by the Warsaw Ghetto heroes’ decision to die with honor rather than be led to slaughter; their commitment to a program of complete extermination was already absolute. This article is only one example of Haaretz’s irresponsible and biased journalism. Over recent years the newspaper has served as the primary vehicle for promoting destructive post-Zionism. It has engaged in deliberate campaigns to demonize Israel and frequently published articles promoting the BDS movement. Indeed, its online edition now represents one of the principal sources of fodder for global hatred against the Jewish state by the hostile international media and anti-Israeli politicians. It has and continues to inflict enormous damage on Israel. A most blatant example of Haaretz’s self-hating approach was its vitriolic campaign against the IDF, in which it published numerous examples of alleged war crimes committed by individual soldiers. These allegations were subsequently proven to be unfounded, but only after the damage had been done: the stories were reproduced on the front pages of the major media outlets throughout the world, fermenting the hostile climate which paved the way for the notorious Goldstone Report. There are a number of Haaretz journalists who are often indistinguishable from Palestinian propagandists. For example, in April this year after an incident in which a three year old Israeli girl was critically injured when a car driven by her mother was struck by a stone, Amira Haas, notorious for her pro-Palestinian bias, even justified the act by stating “Throwing stones is the hereditary right and duty of someone under a foreign power”. 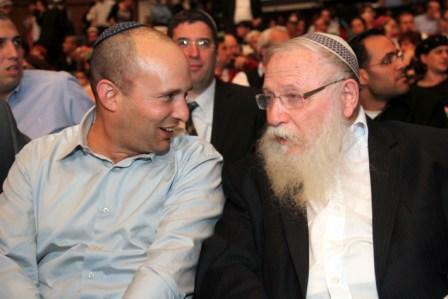 Haaretz publisher Amos Schocken defended her, stating “sometimes you have to fight violence with violence”. Gideon Levy, who regularly churns out articles that quote verbatim obscene Palestinian allegations of Israeli oppression and criminality, in October of last year produced a front page story entitled “Most Israelis Support Apartheid Regime in Israel”. Israelis were outraged and five days later Haaretz was forced to publish an apology. But again, the damage was done and newspapers throughout the world widely disseminated this lie. There are endless similar examples of the constant rabid maligning of Israel and blaming it as solely responsible for the failure to reach a peace settlement with the Palestinians. But in recent years, Haaretz has extended its post-Zionism to promoting a revisionist narrative which undermines the core of Jewish continuity, questions links of today’s Jewish people with the biblical era, and challenges the validity of a Jewish nation. Last year it published an article resurrecting the theory that the majority of Jews are descendants of the Turkic Khazars converted in the eighth century who allegedly now represent the bulk of European Jewry. This absurd notion was employed in the past by anti-Semites and is now heavily promoted by the Arabs to prove that the Jews of today have no link to the biblical land of Israel. Haaretz’ unprofessionalism is simply inexcusable. In its zeal to undermine the core principles of Zionism, it has done irrevocable damage. The distortion of facts and outright lies have aided our enemies and confused our friends, including Jews living in the Diaspora with limited understanding of Jewish or Israeli history. The Gat article demonstrates to what depths Haaretz will sink, twisting the facts – even of Holocaust history – in order to provoke its readers and disallow them even the smallest measure of Jewish pride. Freedom of the press allows Haaretz, like any newspaper in Israel, the right to publish what it deems fit. However, newspapers are dependent on readers and the rapidly diminishing number of Haaretz subscribers should do what is necessary and take the most effective steps to influence the publisher and editor to prevent the paper from serving as a launching pad for enemies of Israel and the Jewish people.